To find new issues, placed during a certain period of time, use advanced bond search. E.g., to search for all bond issues for the period of September 7-11, 2015, enter these dates in the field “Placement date”. To display all reopenings for the required dates in the search results, tick “Including reopenings” under the field with dates. After filling in the search parameters, click “Search”. The list of all new issues over the required time period will be shown under the search form. 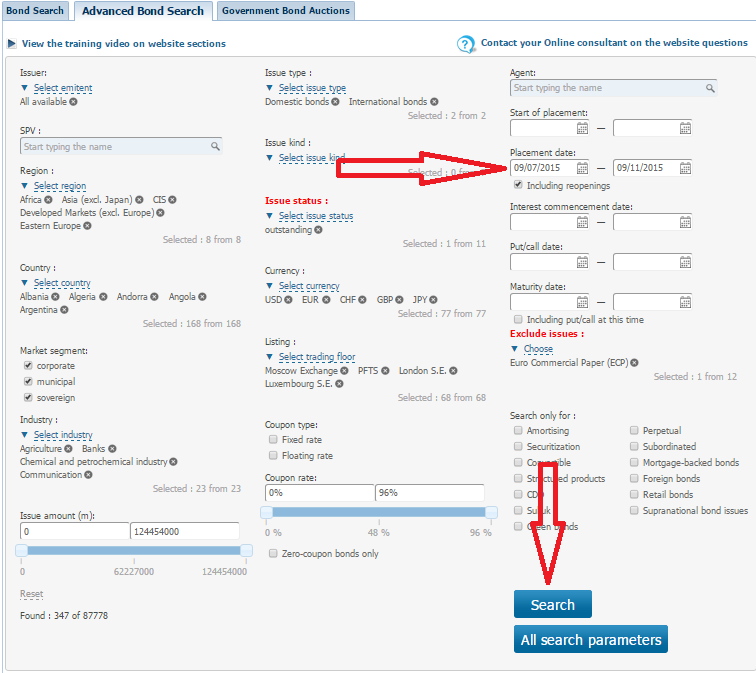 More information on the issue search functionality is available in Training video on advanced bond search .